Dhaka, June 27, 2014 (Alochonaa): Bangladesh has rich and multiple heritages which are inseparable part of our identity as a nation, because the spirit, direction, convention, custom, civilization and tradition of the nation are found, as they are reflected, in its cultural and historical heritages. The cultural heritages are the most important heritages which are passed down to us through the years by the collective efforts of our forefathers, from one generation to the next, defining our essence as a nation to the world community. With the passage of time, some of our glorious cultural heritages like muslin sharee along with some others is lost forever, and is only ornamenting our national museum now. It is also alarming that some glorious cultural heritages are now at the verge of sustenance due to the celebration of our modern life style, indifference and negligence to cultural heritages and impact of globalization. Out of them, pottery is one of the most important heritages which is threatened to endure gradual sustain every day, and is in fact at the brink of it. 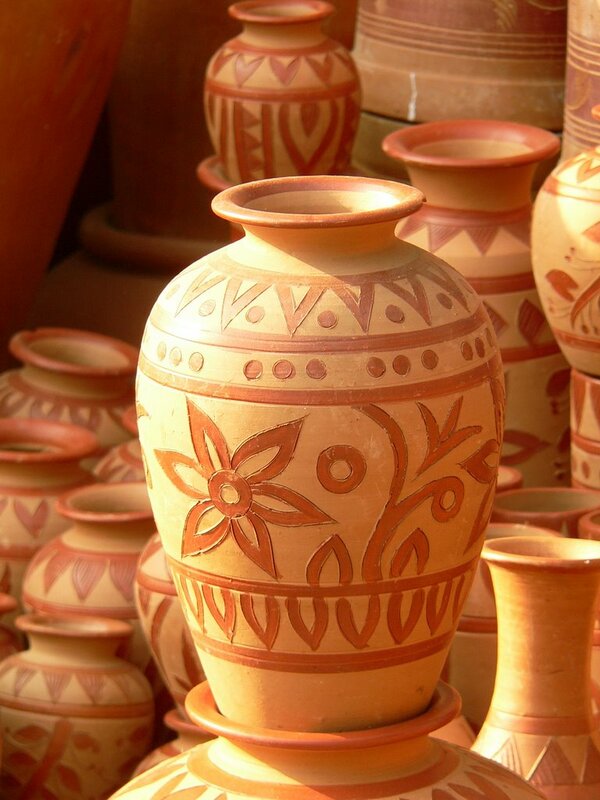 Lately, pottery heritage was famous for its diverse design and for its indispensability in households as utensils. Presently, the number of pottery workers is decreasing gradually as a result of the change in culture and our inclination to glass and metal utensils. 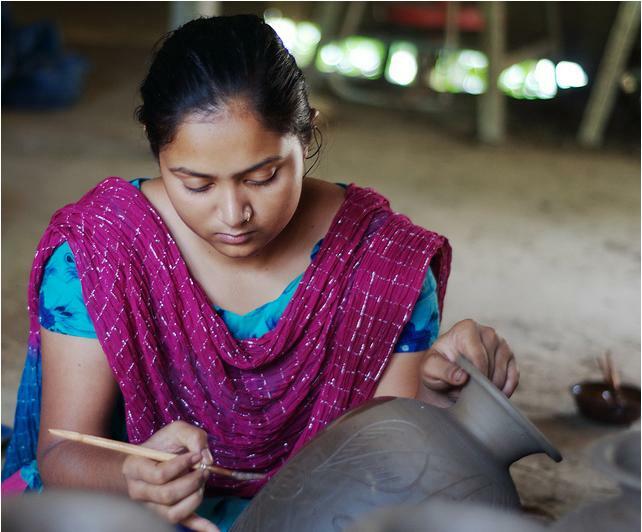 Very few pottery products are now made in the rural areas to meet the rural poor’s demands, and occasionally for Bengali festivals such as: Pahela Baishakh. Lack of raw materials and inadequate patronization are also responsible for the sustainability of this pottery. 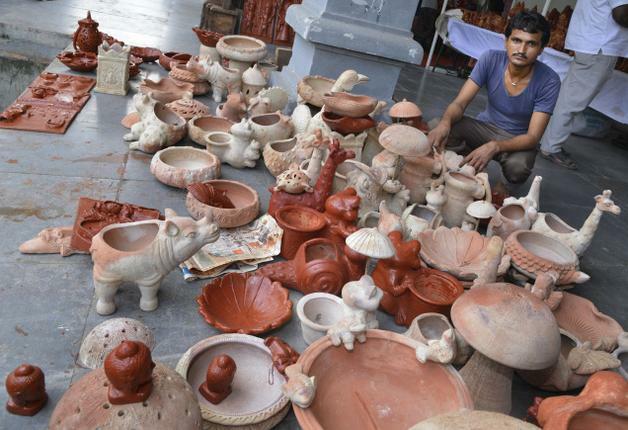 For the plump in local demand of utensils, many pottery workers are now making inartistic curd pot only as it has local market value and as it is easy to make. As a result, many pottery workers have forgotten their inherited pottery design. This inartistic curd pot production will be at risk if anyone invents any alternative. It is also found that some families are not interested to involve their children in this because of the lack of the demands, and to survive the community is thinking of shifting to any other profession. From the present scenario, it can be easily predicted that the pottery heritage may be diminished even before a century, if necessary steps are not taken. It will not be surprising if we have to put this cultural heritage in the museum to make it known to the next generation. Now it is time for us to save our cultural pottery heritage by innovative approaches. Though, many think tanks are trying to save this heritage by introducing diversified pottery products for beautifying house (vase, flower pot crafts etc.). In reality, these aesthetic pottery products for house decoration do not get that popularity because of our less purchasing capacity, inadequate space in houses and indifference to decorate houses. Men of means can only afford it. In addition, the imported advanced utensil products often defeat our pottery products. So for sustaining this cultural heritage, we must attach it with our regular habit at cheaper rate. Many neighboring countries are practicing it, for example: the Indians use one time earthen tea cups. Firstly, the former rail minister of India, Lalu Prasad Yadav, popularized earthen pots in rails and thus replaced the plastic cups. Later, everyone followed it, as it reduces health risks besides cherishing cultural heritage. Moreover, strong patriotism of the Indians boosted this cultural heritage sustaining initiatives. Apparently, onetime earthen tea/coffee cups seem little costly, but it will be proved economically feasible at long run in terms of health and pottery heritage sustenance. It will increase employment, create new tea takers, both male and female, at tea stalls, develop market chain for pottery, save water and energy resources. Moreover, used onetime tea cups can be recycled as raw material of ring slabs for the sanitary latrine industry. While, same glass tea cup is used again and again at tea stalls and by all sort of people, that increases the risk of communicable diseases including hepatitis B, TB, oral fungal infection and other water borne diseases including diarrhea stated by ICDDR’B. It also wastes 30 litter water/stall/day. In every tea stall minimum one dozen of glass cups are damaged per month and these imperishable broken cups causes soil infertility. It is also found that the country sustains huge amount of financial loss for importing glass cups or its raw materials. Considering beneficial sides of this cheapest earthen tea cups, we also can initiate it in our tea/coffee stalls. As our literacy rate and GDP has increased, our citizens can afford, and should afford, the additional cost to take tea by using onetime earthen tea cups. Initially, the urban population should take initiative to implement the idea as they are apparently more educated and rich compared to the rural. According to the World Bank (2012), about 28% of the total population (44.8 million) of Bangladesh is living in urban areas and they take tea. 22.4 millions cups will be sold per day if one fourth of the total urban population take tea twice a day outside the home, and thus BDT 5.6 million will be earned daily, which will easily ensure the livelihood of about 20,000 pottery workers. Though it is not easy to initiate a new habit for the tea consumers, as it is a new concept, but it is not impossible. For implementing it, pragmatic efforts as awareness building and motivating people, voluntary works, patronization by both private and public sectors, installation of modern technology, in-depth research and policy advocacy are required. In conclusion, we can say that the existence of our pottery heritage is threatened. As it is an integral part of our culture, saving this heritage by changing habit or any other means or effort is our social as well as national responsibility. *Md. Zahidur Rahman and Tahmina Khatun work in the sustainable development field and can be reached at zahidfao@gmail.com and sumiku22@gmail.com, respectively.